29572884_10213572879010322_5110034103530667672_n – ARGENTINE TANGO U.S.A.
© 2014-2018 | ANDREA MONTI. ALL RIGHTS RESERVED..
“Caminatas” with turn and change of directions. Technique: analisys of the basic, posture, axis, flexor muscles, embrace and perception. Specific simple patterns to understand the musicality. EDUARDO SAUCEDO is from Buenos Aires, Argentina, a Master Teacher and Dancer of Argentine Tango (all styles), Choreographer, DJ, MC, and Producer of Tango Shows, Internationally recognized for his love and passion for the dance. Eduardo travels the world sharing his culture and knowledge of tango, bringing his message of Love, Passion, Joy, Life with Respect and Freedom for Peace in the World. His teaching is creative and practical focusing on subtle details of the movement and body language. His teaching blends reason, logic, emotions and personality to create a pure and authentic tango embrace. Eduardo has complemented his training with studies in various dance disciplines as well as theatre and acting, and is a continuing student of the Performing Arts. He has performed in theatres, appeared on radio and television and taken part in various International Tango Festivals such as Portland Tangofest and Nora’s Tango Week in San Francisco. 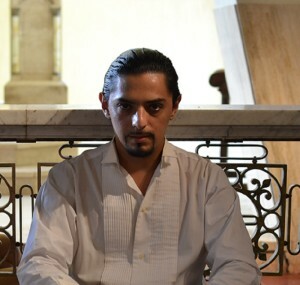 As an invited teacher and performer Eduardo has participated for 11 years in CITA, the prestigious International Tango Festival held yearly in Buenos Aires. Eduardo has taught and performed in the traditional and popular Milongas (Dance Clubs) in Buenos Aires such as Salon Canning and Almagro among others and in El Viejo Correo where he was also a co-host for several years. He choreographed and co-produced the Tango Show “Passion & Joy” in 2012 and “Tango-Fusion d’Amor” in 2013 with Tango by the River, Sacramento, CA. In 2014 Eduardo was the MC and lead performer in the 1st Seattle Showcase “Mi Camino” produced by Michelle Badion. Eduardo was invited to participate in the National Geographic Documentary Series “Consequencias” 2010 and to participate in the European Documentary “My First Tango” released in 2014. Studio Eduardo Saucedo is located in Palermo, Buenos Aires, where Tango and Art related activities are being coordinated and produced. Useful sequencies for the social dance. WALKING: footwork. Use the base leg & the free leg. The importance of the pauses. Movements with changes of speed, dynamics & intensity. From improvisation to creation of different combinations of circular moves with embellishments. Advanced figures in reduced spaces: reducing a more complex figure to it’s smallest version. CADENCE – how to dance smoothly with elegance & harmony. Ochos back-forward,lead and follow. Combinations. Born and raised in Argentina, Mr. Asprea dance background includes classical ballet (Colon Theater Superior Institute of Art – I.S.A. – Buenos Aires, Argentina) and modern dance (Taller de Danza Contemporanea del Teatro San Martin de Buenos Aires). Since 2015 he is an American Ballet Theater Certified Teacher. In 1990 Mr. Asprea joined As an argentine tango dancer his long list of credits includes his work as choreographer and performer with the original cast of “Tango 2000” (1997, artistic director Néstor Marconi), with “Tango Argentino Show” that officially represented the Argentine Republic at the Universal Exposition 1998 (Lisbon, Portugal), with Pablo Ziegler’s “Tango: Passion and Swing – When Tango meets Jazz” at the Umbria Jazz Winter Festival #8 (Orvieto Italy, 2001) featuring Paquito de Rivera, Joe Lavano, and Julia Zenko, among other artists, with he Sexteto Mayor’s “Tango Show – Hommage to Astor Piazzolla”, featuring Amelita Baltar (Artistic Director and principal bandoneonist José Libertella), with the Nueva Compania Tanguera for the production “Catalogo Tanguero” at the Duse Theater in Bologna, Italy, in 2005 (artistic director Mariachiara Michieli, musical director Cesar Stroscio), with “Milonguero Nights”-Moscow Tango Festival” (Moscow, 2006), and with “Emozione Pura”-Florence International Tango Festival (2007, Florence, Italy). 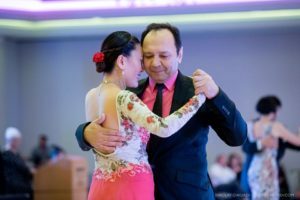 Mr. Asprea has performed and taught argentine tango workshops in 20 countries and more than 150 cities around the world, including Buenos Aires (Argentina), Paris, Nimes, Le Mans, Amiens, Metz, Strasbourg, etc. (France); London, Manchester, Bristol, Norkfolk, (UK); Rome, Milan, Florence, Bologna, Genova, Ancona, Venice, etc. (Italy); Frankfurt, Hannover, Karlsruhe, Konstanz, Munich, Freiburg, etc. (Germany); Montreal, Toronto, Victoria, Quebec (Canada); Lisboa, Porto, Viseu, etc. (Portugal); Madrid, Barcelona, etc. (Spain); Zurich, Basel, Chur, Pizol, etc. (Switzerland); Moscow, Saint Petersburg, Yaroslav (Russia); Kazan (Kazakhstan); Prague (Czech Republic); Feldkirch (Austria); Brussels (Belgium); Luxembourg (Luxembourg); Malmo (Sweden); Athens, Santorini, (Greece); Istambul (Turkey); Montevideo (Uruguay); New York, Los Angeles, San Francisco, Boston, Chicago, Miami, Seattle, Albuquerque, etc. (US) and many others cities around the world. In 2012 the mega latin music star Charly Garcia commissioned Mr. Asprea to create a choreography for Garcia’s song “No Soy un Extraño”, which was premiered and performed by ABT member Luciana Paris and Claudio Asprea himself within Charly Garcia’s Broadway show at the Best Buy Theater in New York in April 2012. Luciana Paris and Claudio Asprea have performed on NYC, Germany, Luxembourg and France. 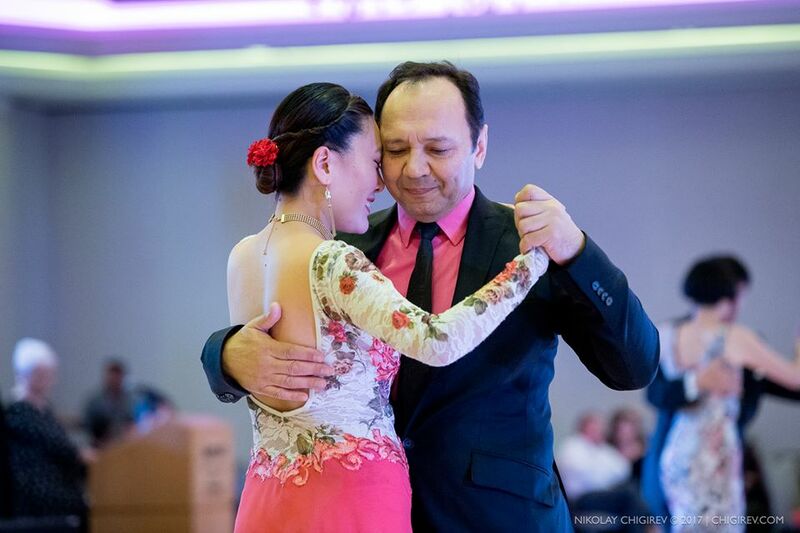 In 2013 Mr. Asprea was guest performer and argentine tango master teacher at both the “The Official USA Championship & USA TANGO FESTIVAL” in San Francisco, CA, from April 17 to 20, 2013 (Official Local Branch Tango Buenos Aires Festival & Dance World Cup), and at the “13th New York City Tango Festival- “Celebrate Tango” from 22 to 28 July, 2013. He currently teaches argentine tango at Steps on Broadway Dance Studios, and at Paul Pellicoro’s DanceSport Studios, in New York. In 2015 Mr. Asprea is Guest Artist with Musical Bridges Around the World Festival, where his new choreographic work on composer and bandoneonist Juan Pablo Jofre’s Hard Tango will premiere at Tobin Center for the Performing HEB Performance Hall, featuring Juan Pablo Jofre, the Grammy award nominated St. Petersburg String Quartet, and Claudio Asprea partnered by award-winner dancer Snejana Petrova, a regular on Dancing with the Stars and You Think You Can Dance TV shows. Claudio took his first steps at an early age. His roots come from his grandfather, Hector Contreras, who was his mentor in the early stages of his Tango training. He then followed teachings by Juan Aurelio, Juan Carlos Copes, Virulazo, Antonio Todaro, Pepito Avellaneda, Gloria and Eduardo, Dinzel, N. Guichanduc,- world-famous recognized “Maestros “ who contributed extensively to his training. After dancing in various tango shows in Buenos Aires, such as CASABLANCA, LA VENTANA, MICHELANGELO and El QUERANDI, he began his international career abroad. Claudio has performed in several important venues in the world such as the Walter Kerr and Marquis on Broadway New York, for 2 years; Olympia in Paris, Colon Theatre, Luna Park Auditorium Astral Theatre and Cervantes Theatre in Buenos Aires and the National Auditorium and Fine Arts Theatre in Mexico. Has worked with the most famous and recognized Tango orchestras such as Osvaldo Pugliese, Mariano Mores, Sexteto Sur, El Arranque, Sexteto Mayor and Color Tango, among others. 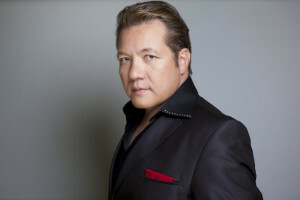 His talent has earned him roles in the most renowned international stages in Broadway, Europe, Asia and America in shows alongside major companies such as Tanguera, Tango Seduccion, Tango Argentino and Forever Tango. Based on this knowledge and experience he later formed a new project, his own show “Latin Tango” where he is the director and choreographer. His excellence led him to different countries teaching classes and being invited as jury of the most important championships and festivals of Tango around the world. During his career Claudio participated in important events with recognized dancers. Today he is partnered with Helena Fernandez. They form one of the most prestigious Argentine tango dance couples for their artistic versatility that allows them to interpret the most diverse styles, from tango salon, fantasy and traditional to the most modern and innovative. Currently they are part of their own show “Tango’s Heart” on Tour through Europe, North America and South America. Viviana is a professional trained classic ballet dancer with a National Teacher s Degree from the National School of Dance in 1984. She developed her early dance career and experience at the internationally renowned Colon Theater of Buenos Aires and obtain a professional Ballerina Diploma in the same year. She performed in different nationally recognized Modern and Jazz Dance companies including the “Julio Boca Company”, touring extensively throughout Argentina. In 1989 began her career as a professional tango dancer with Juan Corvalan as a soloist couple to Mariano Mores Company “Tango” which toured 10 years throughout Latin America and Europe until 1996. In 1992 she was invited to participate in the “Expo Seville 92” with famous Argentine singer Libertad Lamarque. In 1994, Viviana was hired as special guest by Quincy Jones representing Argentina at the “Concert of the Americas” in Miami, USA. In 1998 they were hired as choreographers for Peter Breuer director of the Salzburg Ballet Company -Austria- for the creation of the Ballet “Un tango de Amor” released in that year. Viviana and Juan were the main dancers at the show Tango Pasion since its creation in 1992 until 2008 performing their own choreography at the show. From 2008 till 2012 Viviana was hired as a judge in several Tango World Championships held in Argentina, and all around the world. Broadway ¥ Longacher Theater, Munich ¥ Deutsches Theater, Washington D.C. ¥ Wolftrap, Istanbul ¥ Acckhava Arenal, Madrid ¥ Teatro Nuevo Apolo, Frankfurt ¥ Frankfurter Oper, Amsterdam ¥ The Carre Theater, Vienna ¥ Ronacher Theater, Cologne ¥ Kolner Philharmonie, Brussels ¥ Le Palais des Beaux Arts, Berlin ¥ The Metropole Theater, Paris ¥ Theatre des Champs Elysees,Helsinki ¥ Savoy Teateri, Saint Petersburgo ¥ The October Theater, Moskow ¥ The Kremlin, Barcelona ¥ Teatro Tivoli, Palma de Mallorca ¥ The AuditóriumBerlin ¥ Deutsche Oper, Dublin ¥ The Olympia, Singapore ¥ Harbor Pavillion, Hong Kong ¥ Tsin Tsan Town Hall,Washington D.C., Zurich ¥ Musical Theater, Athens ¥ The Herodian Acrópolis, Roskilde ¥ Roskilde Festival among others. Makela Brizuela is a visionary creative force and one of the most respected teachers and choreographers in the Los Angeles tango community today. Born and raised in Buenos Aires, Argentina, she trained for ten years in modern dance and ballet and received her “Ballet and Modern Dance Superior Teacher” degree from the National School of Ballet of Argentina. Since 1995 she has taught, performed, and choreographed tango around Argentina, Mexico, and the U.S.
Over the last ten years, her tango school “Makela Tango” has become one of the most well-known tango institutions in the Los Angeles area with rave reviews by her students. Her guided practice “PRACTICA ELECTRICA”, has been running continuously each Monday for the last 7 years. Makela Brizuela is especially known and appreciated for her attention to detail and her passion for teaching. Acknowledging that every student has individual goals, she is deeply committed to helping each and every one of her students in their tango growth. As a credit to her commitment to her students’ development, some of her students have become popular social dancers, tango organizers, and/or performers in Buenos Aires and the US. In order to incorporate the cultural aspect of tango in her teaching, Makela has organized several immersion classes during which she has taken her students to Buenos Aires to experience, appreciate, and learn about tango culture. Makela was the first Argentine instructor to ever teach and perform in Maputo (Mozambique, Africa) to a group of enthusiastic students who previously had very little exposure to tango. Indeed her performance and instruction in Mozambique prompted one of the members of the Argentine Foreign Affairs Department to refer to her as an “Argentine Ambassador”. As a choreographer, she directed the critically acclaimed “Urban Tango” in Los Angeles (2006/7). She also choreographed “Camila, the Musical” for Santa Monica College, which was selected as part of the Los Angeles Festival of New American Musicals in 2008. Other choreography work includes: “Dance in Fight” at Pepperdine University, and “Tango Cabaret” at the Museum of Latin American Art in Long Beach. Over the last two years Makela has also choreographed and trained her own performance team, which is going to premiere their program “Sueño Azul” in Los Angeles in February 2013. Makela’s performance credits include “Tango Nuevo Cabaret” at the Ford Amphitheater partnering with Marcelo Molina, US Tango Champion 2011, and sharing the cast with Forever Tango fellow dancers Tamara Bisceglia and Federico Paleo. She again performed with Marcelo Molina at the movie premier of ‘Clandestine Childhood ‘, screened by the Argentine Consulate and the American Cinematheque at the Egyptian Theater in Hollywood. Other tango performances at prestigious venues include performances at the Roy and Edna Disney Calarts Theater (Redcat), the Alex Theater, and The Ricardo Montalban Theater. She also performed on TV (Univision) and was featured in many short films. Most recently she was part of the UNICEF video “La Bala” directed by Simon Brand and renowned choreographer Michael Schwandt. During her career she has also partnered, performed and collaborated with prominent tango performers from Buenos Aires such as Sergio Cortazzo (Tango x dos), Fabian Irusquibelar (Tango Porteño, Tango Metropolis, Copes Troup) among others. and has specialized in Argentine Tango for the past 19 years. One of the most respected teachers and choreographers in the U.S. today, Christy has been featured on San Francisco’s KTVU Segment 2 Report, KPIX/Channel 5 Evening Magazine, and nationally in Dance Spirit Magazine. 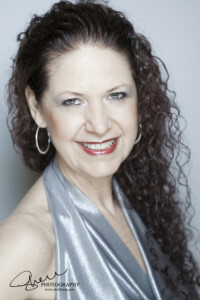 Christy’s teaching method has been published by Dance Vision www.dancevision.com in 4 manuals including Bronze, Silver, Gold & Platinum levels. These manuals are accompanied by a series of 20 instructional DVDs with partner George Garcia. Christy’s choreographic credits include Los Diablos Ganchos cruise ship show, Teatro ZinZanni’s Love, Chaos, and Dinner with Joan Baez, and Tango del Cielo featuring harpist Anna Maria Mendieta. Christy has also been a coach for Cheryl Burke (of Dancing with the Stars fame) for her performance in Forever Tango, as well as for the Smuin Ballet of San Francisco in their production of Tango Palace in 2003 and 2011. NCL’s Tango at Sea Cruises, MonTango U.S. tours, The 28th Annual San Francisco Ethnic Dance Festival, the 49er’s Half Time, TANGO X 3 at the Palace of Fine Arts and ongoing dinner shows at Pena Pacha Mama Restaurant and numerous corporate events in San Francisco. Christy is one of the founding members and main choreographers of the all female tango company, Tango Con*Fusion, with whom she has performed across the U.S. and in Buenos Aires. The company have taught and performed at Lady’s Tango Week in Buenos Aires for the past 2 years and host the annual San Francisco Lady’s Tango Week in partnership with Johana Copes. Christy has partners with tango greats Pampa Cortes, Marcos Questas, Daniel Lapadula and Eduardo Saucedo. Carlos Gavito and Marcela Duran were her first and most influential maestros. In 2013 Christy became the first American judge for the USA Tango Championships and is proud to be returning for the 3rd year of this wonderful competition. Classical dancer since she was 3 years old, graduated from the Royal Academy of Dance in London (2000), with great experience in many styles of dance (classic ballet, jazz, ballroom dance, samba, flamenco), Helena Fernandez becomes an international tango dancer and choreographer after 10 years of study and dedication to this dance. She was on tour to teach workshops and to perform in several shows in Europe, Asia and America. She also graduated in Physiotherapy specialized in neurological patients, which gave her extra tools to include tango-related concepts in her women´s technique classes. Helena participated in many televisions programs in Rede Globo de Televisão; she mounted choreographies for renowned actors and actresses (Cristiane Torloni in Dança dos Famosos, Paulo César Grande, Louise Cardoso) and performed on board of MSC Música being the main dancer of Tango season (Europe 2012-2013) for six months. She performed at important theaters abroad (London: Leicester Square Theatre, Korea: Lotte World Theater, Brazil: Teatro dos 4, Liceu de Artes e Oficios etc); made special participations in shows such as “Tango Glamour” (sponsored by Aparecida Belloti) and “Baila Brasil” (sponsored by Edu Cigano) in Brazil, where she was a judge at several dance competitions: Festival Nacional de Dança – Brasil; Belém do Pará em 2009 e 2010. She also performed at “Tango Seducción” dance Company directed by Gustavo Russo, in 2014. Helena was an official Judge at the World Cup branches in Greece, Italy and Brazil. She also performed at well-known milongas in Buenos Aires: Confitearia Ideal, La Marshal, Grisel, and danced to well-known traditional orchestras such us “Sexteto Milonguero”, “Carla Algeri” orchestra, and “Color Tango” among others Currently she performs at dance shows, and is working both as a tango and latin rhythms teacher in Brazil, Europe, Asia and Latin America. 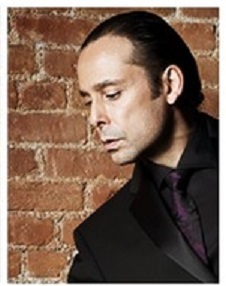 Helena partnered with one of the best dancers and artist of the tango world, “CLAUDIO VILLAGRA”. Together they form one of the most prestigious Argentine tango dance couples for their artistic versatility that allows them to interpret the most diverse styles, from tango salon, fantasy and traditional to the most modern and innovative. Helena is the owner and director of two tango schools in Europe named “C&H Tango”. Leandro Oliver is Argentine. He has been dancing Argentine Tango since he was 8 years old. His main masters and trainers in the Argentine Tango field have been Ricardo Oliver, Jorge Dispari, Miguel A. Zotto, Carlos Copello, Osvaldo Zotto, Juan Carlos Copes, Gabriel Angio, Natalia Games, between others. His background formation also includes Drama (Omar Pacheco), Jazz Dance (Laura Roatta, Sandy Brandawer) between other disciplines. He develops his career as a Master, Choreographer, Dancer and Jury of the most important Tango Championships. Leandro is Master of many renowned teachers. He has started being a Tango Professional Dancer since he was very young. Some of the world’s most highly regarded tango shows he has belonged to are: “TANGO X 2,“NISSAN TANGO BUENOS AIRES,’ “COPES TANGO COPES”, “TANGUERA“ and “TANGO EMOCION,” “MISA CRIOLLA” . . . and more. For more than 12 consecutive years, Leandro has developed his Artistic Career next to her partner Laila Rezk. Leandro has also participated in TV shows (RAI, BBC, NHK, FUJI TV, TELEFE, CANAL 13, AMERICA TV, ATC) and interviewed in different radio programs as well. 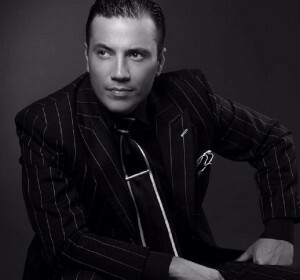 He is judge of the Official Tango Championships in Argentina and also in different venues (USA, Asia and Europe). He is one of the creators and artistic directors of “TANGO CON LAS ESTRELLAS FESTIVAL” and he is annually invited to teach and perform in the most prestigious Tango Festivals both nationally and internationally. Laila Rezk was born in Buenos Aires, Argentina. Her dance and artistic background includes Classic Ballet (Estudio Gurquel Lederer & Teresita Campana), Jazz Dance (Estudio Gurquel Lederer & Manuel Vallejos). Miguel Angel Zotto, Milena Plebs, Guillermina Quiroga, Alejandra Mantinian, Graciela Gonzalez, Gabriel Angio and Natalia Games are have been her principal Tango Masters. As an Argentine Tango professional, Laila unfolds as a Master, Choreographer, Dancer and Jury of the most important Tango Championships. She has been developing her artistic and professional Career next to Leandro Oliver, who has been her partner for more than 12 years. For many years, she has belonged to one of the world’s most highly regarded tango shows “TANGO x 2 COMPANY” (from Miguel A Zotto). She has also participated in EXPO AICHI JAPAN, EXPO JATA TOKYO, TANGO LIBERTAD and has also participated in many important Festivals in Argentine, USA, Asia and Europe. Laila participated in TV shows (RAI, BBC, NHK, FUJI TV) and interviewed in different radio programs as well. They are judges of the Official Tango Championships in Argentina and also in different venues (USA, Asia and Europe). 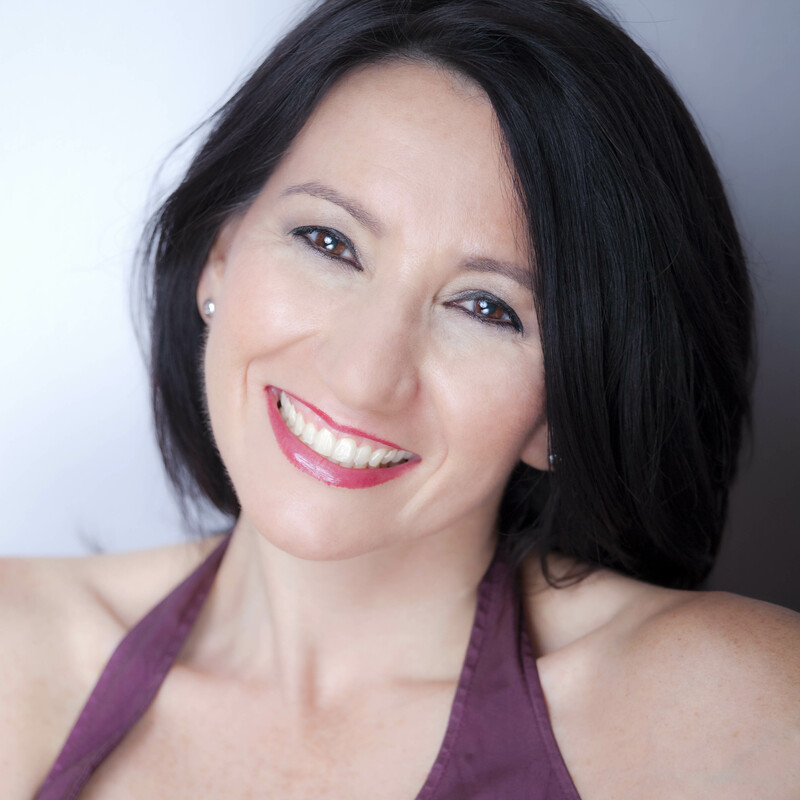 She is one of the creators and artistic directors of “TANGO CON LAS ESTRELLAS FESTIVAL” and they are annually invited to teach and perform in the most prestigious Tango Festivals both nationally and internationally. Tomas Galvan, came from disciplines related to body language, began his life in dance at 13 years, has worked in prestigious tango houses as “Taconeando” and “Piazzolla Tango”. Second in the metropolitan city tango salon championship Bs. As 2009. He has worked for prestige tango companies as “Tangueros del sur” Natalia Hills, “Identity tango” and “Tango X Two” Miguel Angel Zotto. He taught and gave performance in countries such as England, Greece, Italy, Russia, China, etc. Finalists of the world championships in stage tango and tango salon on several occasions. He has worked as a choreographer and consultant for various dance groups from Argentina. He was judge in the national championship of tango, Zarate city 2015 and 2016. Among the major events stand out, having danced at the Vatican in celebration of the birthday of Pope Francisco. He is co-author of the book “art for life” published in Argentina. Along with Gimena Herrera were the creators of the play “Tango de raza” running his own company “Malevaje”. Currently are artists, dancers, directors and choreographers of his recent show “Earth and Fire walking” and presented in Argentina and soon staged in cities of USA and the world. Gimena Herrera, came from disciplines related to the sport, began her career in dance tango in adolescence, she has working in prestigious tango houses of Buenos Aires as “Taconeando” and “Piazzolla Tango”. Second place in the metropolitan city tango salon champions, Bs. As, 2009. She has worked for prestiges tango companies “Tangueros del sur” Natalia Hills, “Identity tango” and “Tango X dos” Miguel Angel Zotto. she taught and gave performance in countries such as England, Greece, Italy, Russia, China, etc. She has worked as a choreographer and consultant for various dance groups from Argentina. She was judge in the national championship of tango, Zarate city 2015 and 2016. Along with Tomas Galvan were the creators of the play “Tango de raza” running they own company “Malevaje”. Ivan Leonardo Romero is the winner in “Tango Escenario” of the Tango Buenos Aires Dance World Cup (Campeonato Mundial deTango de Buenos Aires, Argentina) of 2004, held in Buenos Aires since 2003. Since then, he travels the world teaching both professional and amateur dancers. Silvana Nunez has been a professional tango dancer since 1999. She has been teaching tango in many schools in Argentina and has been part of the jury panel in various official tango championships and competitions. Together, they worked at the Hotel Faena dancing for the prestigious show Rojo Tango and the “Café Los Angelitos” show. They also travelled to many countries throughout Northern and Southern America, Europe and Asia. In August 2015 they worked as artistic directors of the International Tango Festival in Montreal (free style tango) . His was a very special edition as it brought together many World Champion teachers in their respective categories: salon and stage! In August 2014 they worked as Judges and Masters for the World Tango Championship in Medellin, Colombia. In Argentina, they have also been members of the jury of the prestigious Buenos Aires´ Youth Tournament and the Metropolitan Competition since 2005, as well as of some of the official branches of the Tango World Championship in different locations, both in Argentina and abroad! They also performed as the soloist couple with prestigious orchestras (Vale Tango, Sexteto Major, Seleccion Nacional de Tango, etc.) and with famous artists such as Rodolfo Mederos, Lidia Borda, Ariel Ardit, among others. Ivan and Silvana worked in many tango festivals and were part of dance companies such as Copes Tango Copes, Compania Roberto Herrera and Chantecler. Accomplished artists as well as experienced artistic directors and choreographers, they are an important creative reference for many dancers. Competition VS private classes or workshops: competitors participating in the Salon Senior, Milonga or Stage Tango Group categories may register to all (or any) of the festival workshops and take private classes with all festival maestros. Competitors participating in the official categories of Tango de Pista and Stage Tango may register to all (or any) festival workshops and take private classes with all festival maestros on Saturday and Sunday. On Friday competitors in the official categories will not be able to take private classes or workshops with Guillermina Quiroga, Junior Cervila, Guadalupe García, Adrian Veredice and Alejandra Hobert due to the fact that these maestros will be judging on Thursday and Friday evenings. However competitors are allowed to take classes with world tango champions Cristian Palomo, Melisa Sacchi, who will not be Judges at the Competition. Contestants may participate in different categories with the same or a different partner. However, no contestant may participate more than once in the same category, regardless of whether they do so with a different partner. A registration cannot be shared and is not transferable. If a contestant withdraws from the competition after the registration fees have been paid, no refund of the registration fees will be granted. All competitors must read the Evaluation Criteria per category to get ready for the competition. Contestants must always behave correctly and respect the judges, championship directors/coordinators, choreographers and other participants. All the competition rounds will be open to spectators. All data provided at the time of the accreditation will be considered as a sworn statement. Any contradiction will be penalized. All championship contestants commit themselves to participate in various ceremonies and events planned by the Organization of the USA Official championship branch—such as press conferences, interviews for radio stations and over‐the‐air or cable television channels, demos, etc.—if they are summoned for such purpose. Contestants must be at least 18 years old by the date of the competition. Filming & Photographing. The Organization of the Preliminary reserves the right to record all the stages of the Championship, by any means known or to be known—including but not limited to filming, recording, photographing, digitalization, etc.—by itself or third parties, in order to promote and advertise the event. The recorded material obtained will be exclusive property of the Organization of the Preliminary, who will have to turn a copy of it, to the Office of Festivals. By entering the Championship, participants explicitly and irrevocably authorize the use of the recorded material, without this suggesting—or implying—any compensation for any reason whatsoever by the Organization of the Preliminary and/or the Office of Festivals, in favor of any person or organization that claims entitlement to any right that may be invoked. This clause also includes, without limitations, all photographic material published and/or made available for promotion, advertisement, etc. A couple’s registration and subsequent check‐in implies knowledge and acceptance of these General Rules and the Championship Rules (see below) by each one of the participants. The Qualifying Rounds: All registered couples must participate. Couples will dance first and second qualifying rounds on two separate days: First Qualifying round on Thursday April 18 and Second Qualifying round on Friday April 19. In the Tango de Pista category, couples will compete in group performances, dancing to three recorded songs, selected by the Organization. In the Stage Tango category, each couple will compete individually, dancing to one song of their choice. The music piece shall not exceed (4) minutes and must be handed in to the Organization in digital format (two CD copies in good condition or mp3). Since the jury will evaluate the variety of choreographies exhibited, it is recommended that participants perform different choreographies for each of the Qualifying rounds, although this is not exclusive. The Semifinals: Couples who have been selected in the Qualifying round will dance one round in the Semifinals on Saturday April 20. The Finals: Couples selected in the Semifinal round will dance one round in the Finals on Sunday April 21. A minimum number of 10 registered couples will be necessary to validate the “Tango de pista” and the Stage Tango competition. Dancers of any nationality are eligible to apply for the competition. However, being this the Official USA Tango Championship, applicants must prove that they have been residents in the USA for at least 1 (one) year. All participants must confirm their registration at the time of check-in/accreditation.In order to check in, all contestants must attend on the date and time specified by the ATUSA Organization with a valid identity document (ID card such as green card or US passport; and in the in the case of participants with a different nationality and no green card, they should attend with a valid work visa which allows them to stay/reside in the USA and /or a valid rent/working contract issued more than a year before the date of the competition) to certify the place of birth or residence. Couples will receive the order number and be informed of the approximate dates and times on which they will perform in the different stages of the corresponding category. Those who do not check in will not be able to participate in the championship. A delay will only be considered in duly proven cases of force majeure, except in the event of circumstances of public knowledge. At the time of accreditation, contestants will have to complete a form with their personal details, and with any other additional information required by the organization. On this form, they shall inform if they have had a work, professional or personal relationship with any of the members of the jury at the competition, during the last 180 days prior to the championship. The organization will provide a complete panel of judges of at least 4 members for the Qualifying rounds ,Semifinals and Finals. Any jury member who may have had a work relationship or been the teacher of any of the participants in the OFFICIAL categories for a period of at least 6 months prior to the beginning of the competition, may refrain from scoring such participant. For this purpose, both the voluntary statements of the jury and the information provided by participants at check-in as a sworn statement will be taken into account. In these cases, to get the couple’s final score, the judges’ scores will be added, and this amount will be divided by the number of jury members who actually voted. The final score for each performance will result from the accumulation of points, given by each member of the jury on a scale of 1 to 10 (with decimals), in accordance with the criteria described in the following section. a) Do not comply with the rules. may cause displeasure in the public. In order to ensure the impartiality and professional integrity of the jury members, contestants will not be able to participate in seminars, workshops and/or classes taught by any member of the jury, as long as they are in the competition. (This means that in the case a competing couple is eliminated, they are allowed to register to classes and take privates lessons as they will no longer be competing). *Clarification about dance level: Participation in both “Tango de Pista” and Stage Tango Categories competitions are open to everyone. Professional dancers and amateur dances of intermediate level and above compete in the same category according to the rules established by Tango Buenos Aires Dance World Cup. Adherence to these rules qualifies our competition to be recognized as valid by the main Buenos Aires event. The distinction between a “professional” and “amateur” dance has less to do with the level of skill and more with a professional status of the dancers. “Professional” means that dancers make a living from teaching and dancing/performing tango, and “amateur” means that they do not, but it does not always imply that the level of the professional couple dance is superior to the level of the amateur couple. There are dancers for whom tango is their main source of income. They are likely to be good instructors, but their level of dance and performance can vary: the professional couple can be excellent at dance or not so great. On the other hand, there are good amateur couples who do not teach tango and get no income from performances, but have achieved an exceptional level of dance. There is also the case of stage dancers who only dance choreographed pieces, but are helpless when it comes to social dancing: they cannot dance in milongas. Finally, there are very skilled social dancers (people who only dance in milongas), but who neither teach nor perform tango. They might be excellent salon dancers. To accommodate different ways in which dancers excel at tango, the two divisions for the competition were established: “Tango de Pista” (salon tango; social category for both amateurs and professional) and Stage Tango (performance category for amateur advanced level and professional level dancers). If less than 3 registered groups, this category will become a Stage Tango Group Showcase with evaluation by the Official Jury. The groups will perform one tango song on Saturday April 20, 2019. With 3 to 5 registered groups, the Stage Tango Group Competition Category will consist of one round on Saturday April 20. 2019. Each group will dance one tango song. The Qualifying Round: All registered groups must participate. Groups will dance a unique qualifying round on Saturday April 20. Each group will dance one tango song. The Finals: groups selected in the qualifying round will pass directly to the Finals on Sunday April 21. Each group will dance one tango song. Groups must be trained by a tango teacher/instructor/choreographer who will create the routine and will prepare his/her group for this competition/showcase. Groups must represent the city where the tango school/studio is located. It is the responsibility of the group teacher/choreographer to pick up the Diplomas, Medals and team Trophies. Member’s age in the group should be homogeneous (meaning 80 % of member’s age range should be within 15 years maximum difference between the youngest and the oldest). The teacher/choreographer or responsible person for the group must confirm the group registration at the time of accreditation. The presentation of an identity document is necessary. All data provided at the time of the accreditation will be considered as a sworn statement. The Choreographer is required to make the members of the group know about the rules and evaluation criteria of the tournament. The Salon Tango Senior is an unofficial category open to amateur dancers who, by the date of the competition, are 60 years old or older. A Salon Tango Senior competitor may compete with a partner who is younger than 60 years old if the age difference between the competitor and their partner is not more than 8 years at the date of the competition. Professional tango dancers cannot compete in this category. No exceptions. All participants must confirm their registration at the time of accreditation. The presentation of an identity document is mandatory to obtain accreditation. It will not be necessary that the two members of the couple submit for accreditation; it can be done by one of the members bringing both documents. Accreditation by third parties shall not be made. A. The Qualifying Round: All registered couples must participate. Couples will dance one qualifying round on Saturday April 20, 2019. If there are 19 or more couples registered at the competition, there will be both a Semifinal and a Final round on Sunday April 21, 2019. If there are 11 to 18 registered couples at the competition, the couples selected at the qualifying round will pass directly to the Finals (there will be no semifinal round) on Sunday. If there are 7 to 10 registered couples at the competition, all couples will be evaluated by the Jury on Saturday and again on Sunday (there will be no elimination on Saturday and the Champions, 2nd and 3rd places will be announced at the Prizes/Coronation Ceremony on Sunday). *If there are less than 7 couples registered to compete at this category, all couples will be evaluated by the Jury on Saturday only (there will be no elimination and no semifinal or final rounds), and the Champions, 2nd and 3rd places will be announced at the Prizes/Coronation Ceremony on Sunday. If there are 20 or more couples registered at the competition, there will be both a Semifinal and a Final round on Sunday April 21. If there are 12 to 19 registered couples at the competition, there will be no semifinal round and the couples selected at the qualifying round will pass directly to the Finals on Sunday. If there are 8 to 11 registered couples at the competition, all couples will be evaluated by the Jury both on Saturday and Sunday (there will be no elimination on Saturday and the Champions, 2nd and 3rd places will be announced at the Prizes/Coronation Ceremony on Sunday). If there are less than 8 couples registered to compete at this category, all couples will be evaluated by the Jury on Saturday (there will be no elimination on Saturday) and the Champions, 2nd and 3rd places will be announced at the Prizes/Coronation Ceremony on Sunday. This is an unofficial category open to amateur dancers only. There are no residence restrictions. In this category, men and women must register individually . Registration is on a first come, first served basis with a limit of 20 men as leaders and 20 women as followers. If at the end of the registration process there are uneven numbers of leaders and followers, the extra participants registered in any of the two roles will not be able to take part in the competition and therefore their fees will be refunded. Dancing couples will be the result of a random matching of leaders and followers that will take place straight at the dance floor. They will compete in groups and dance a round of three to four songs previously selected by the Committee. Dancers will change partners through a draw system for each of the three songs. Competitors who compete in other categories as well as professional tango dancers cannot compete in this category. All participants must confirm their registration at the time of accreditation. The presentation of an identity document is mandatory to obtain accreditation. There will be one unique round with no elimination (no semi-final or final rounds) on Sunday April 21. If there are more than 10 leaders and 10 followers registered, the total amount of dancers participating will be divided in two groups of equal numbers of leaders and followers for an optimum evaluation process. All dancers will be evaluated individually by the Jury Panel who will determine a unique winner for each role. A title and recognition will be granted for “Best Argentine Tango USA Leader 2019” and “Best Argentine Tango USA Follower 2019” on Sunday at the Prizes/Coronation Ceremony. You must select the full amount of classes available in your chosen pass after registration is complete. You are entitled to attend only the classes you have selected in your pass. If a class you wish to attend is unavailable at the time of registration, please select an alternate class as a second choice. Daughter of Argentinean singer Estela Raval and musician Ricardo Romero (creators of Los 5 Latinos), Mónica was born in Buenos Aires. She studied jazz and contemporary dance specialising in modern dance. Mónica is a natural performer and studied with some of the most prestigious Argentine teachers and choreographers: Nuri Cid, Beatriz & Victor Ferrari, Moria Chapman, Olga Francés, Hector Estevez and Daniel Fernandez. Mónica appeared in many musicals such as Chorus Line, El Diluvio Que Viene and La Sexta Esposa with famous artists such as Moira Casan, Susana Gimenez, Nélida Lobato, Porcel and Olmedo. She was lead dancer in major TV productions Porcel’s Program, Badia & Company and Percivalle’s Show. Mónica joined the Juan Carlos Copes tango company where she met her husband Omar Ocampo and as Los Ocampo, they have toured the world performing, teaching and choreographing. She co-directed and created the show Tango Bravo with Omar Ocampo and has performed in and created many notable tango shows including Tango Pasión which toured world-wide for more than 17 years. Mónica now divides her time between the Los Ocampo tango and folkloric schools round the world and touring commitments to perform and teach. In Buenos Aires, she and Omar are directors of the annual folkloric festival, “Encuentro con Los Maestros” and are members of the official jury at the Tango Championships both in Argentina and worldwide. Omar is an exceptional and gifted dancer, a passionate milonguero and folklorista. Born in Entre Ríos he started his professional career in Buenos Aires when, at age 16, hearing of the dance master Santiago Ayala, “El Chúcaro”, he discovered his mentor and spiritual father. “El Chúcaro” and Norma Viola invited Omar to join their folkloric company Ballet Argentino. Omar quickly progressed to be the lead dancer and dance master of the company, travelling round the world with them for eleven years. During this time he created lead roles in some of the most important masterpieces in the genre: El Martín Fierro, La Vida de San MartÍn, Homenaje a Ezequiel Navarra, Juegos Pampeanos and the famous Del Gaucho Al Compadrito, specially choreographed for him by “El Chúcaro” and noted for containing a beautiful and tasteful disrobing during his transformation from gaucho to compadrito. While pursuing his folkloric career, Omar was for several years a member of the Juan Carlos Copes tango company where he met his wife Mónica Romero and, as Los Ocampo, they went on to tour the world performing, teaching and choreographing. Today considered the best dancer of Argentine folklore, Omar is the repetiteur and curator of the choreographies of Santiago Ayala “El Chúcaro” and Norma Viola and their natural successor. As an honorary teacher, each time he returns to Argentina, he gives classes of Folklore to the Ballet Folklórico Nacional. He is a senior judge at many folkloric and tango competitions. As a choreographer Omar is an exponent of all the Argentinean dance forms. 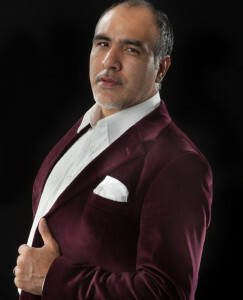 His show Tango Bravo, developed with his wife Mónica, blends Tango with Folkloric dance; and, he also choreographed for Tango Pasión and Mariano Mores’ show. This outside program workshop is designed for competitors and advanced dancers who are interested in improving their performance level. Tools and technique for stage style; how to use the space properly when creating a sequence/ choreography. Sunday April 21 from 12.50 am to 2.05 pm at D’Arienzo Ballroom. Do not forget to include your name and email when your send your check. Enjoy a personalized, best quality tango tour in Buenos Aires with Andrea & Adrian! + Experience the most important international mega event: Tango Dance World Cup and cheer on our US OFFICIAL CHAMPIONS 2019! 14 days, 13 nights’ accommodation at a 4 stars Hotel with breakfast in a safe, convenient location. Walking Tour in Recoleta and downtown (Quintana Av, Alvear St, Santa Fe Av, 9 de Julio Av, Corrientes Av, Florida St, San Martín Square).. Welcome dinner in a typical Argentinean “restaurant parrilla” (grilled meat), ALL INCLUSIVE. Full Day City Tour in private bus to fall in love with the elegant European style city of Buenos Aires (LUNCH INCLUDED): our bilingual guide has extensive knowledge of the city’s history, art, architecture and tourism (7-8 hours duration tour especially designed for us!). It includes: A) Historic circuit; B) La Boca neighborhood; C) Puerto Madero; D) Retiro and Recoleta neighborhoods ;E) “Palermo Chico” residential & Embassy area; F) Palermo Woods. 8 private group workshops (12 hours of instruction in total) for our group with our selected experienced tango teachers. Class assistants: skilled tango dancers hired to assist you to create gender balance and a nice experience for everybody during the classes. 10 milongas (ticket entrance included) Chosen between those “emblematic”, “hidden”, “cozy”, “lovely”, “interesting” dance clubs in Buenos Aires city. Dance assistants: skilled tango dancers hired to attend 4 of the milongas with us. Tickets to attend the Final rounds of the Tango Buenos Aires Dance World Cup at the Luna Park Stadium! Tickets to go to attend tango Orchestra Concerts/performances at Tango Buenos Aires Festival and Dance World Cup. A day at the “Pampas” countryside to get to know another dimension of Argentinean culture and landscape, with “fiesta gaucha”, “asado criollo” (barbecue), singing, dancing, “gaucho show”, country activities such as riding horses and much more. Private transfer in/out . ALL INCLUSIVE. Private Guided visit to Recoleta Cemetery and Del Pilar Church (with bilingual guide) + Walking tour along Alvear St & Buenos Aires Design. + Optional: coffee at typical Café La Biela in Recoleta. Shopping for tango souvenirs, shoes and clothes. Last night Farewell Dinner at a nice typical restaurant in Palermo or downtown. ALL INCLUSIVE. 24 hour personal assistance by Andrea & Adrián. + Many other things that will come up at the moment!!! EARLY BIRD Making your deposit by May 31: $3,100 per person in double occupancy. Single occupancy $3,912. PLEASE NOTE that air fairs are not included in the price, every participant has to purchase their own tickets. Remaining balance to be payed by July 10. A Day in Colonia, Uruguay! SIDE TRIPS TO Iguazu Falls, Salta, Calafate, Bariloche, Peninsula de Valdes, Mendoza and more!!! (Please note that you will need to book this side trips in advanced). Personalized, best quality tango tour organized by Andrea & Adrián! Our customized program for ladies INCLUDES PROFESSIONAL LEVEL DANCE ASSISTANTS for both WORKSHOPS and MILONGAS! DATES: July 20 to 30, 2019 (arrival in Buenos Aires Saturday July 20; departure from Buenos Aires Tuesday July 30). Ten nights. 11 days, 10 nights’ accommodation at a 4 stars Hotel with breakfast in the safest trendy Recoleta neighborhood. 8 MILONGAS WITH DANCE ASSISTANTS: one skilled tango dancer every two ladies hired to attend and dance at ALL eight milongas (yes, ticket entrance and ASSISTANTS are INCLUDED)! SPECTACULAR FIVE STARS DINNER TANGO SHOW. You’ll taste a delicious meal after which you will watch a breath-taking, world-class Tango Show at this traditional especially designed tango house. The incredible skills of the dancers on stage, together with the place’s fantastic atmosphere, excellent cuisine and flawless service, make for an experience you won’t forget. ALL INCLUSIVE! WALKING TOUR in Recoleta & downtown (Quintana Av, Alvear St, Santa Fe Av, 9 de Julio Av, Corrientes Av, Florida St, San Martín Square). WELCOME DINNER in a typical Argentinean “restaurant parrilla” (grilled meat), ALL INCLUSIVE! A DAY IN TIGRE & DELTA: (available for December tour only) private bus to Tigre Pier; 10 min stop in San Isidro to visit the Cathedral and walking around the square; arrival at Tigre. Visit “Puerto de Frutos” (if it is open) after which we will embark on a motor boat to enjoy a great delta river ride around the islands; stop at one of islands for lunch and relaxation time on a river beach. ALL INCLUSIVE. A DAY AT THE “PAMPAS” countryside to get to know another dimension of Argentinean culture and landscape, with “fiesta gaucha”, “asado criollo” (barbecue), singing, dancing, “gaucho show”, country activities such as riding horses and much more.+ Private transfer in/out. ALL INCLUSIVE. LAST NIGHT FAREWELL DINNER at a nice typical restaurant in Palermo or downtown. ALL INCLUSIVE! + 24 hour personal assistance by Andrea & Adrián. EARLY BIRD Making your deposit by May 10: $2,900 per person in double occupancy. Single occupancy $3,525.